The Human Torch falls in love with Alicia Masters (who is later revealed to be a Skrull named Lyja). 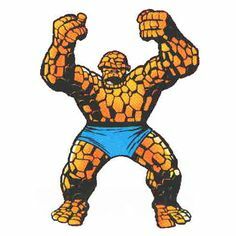 The Thing returns from Battleworld, but formally quits the Fantastic Four. Kristof Vernard is brain-washed into believing he is Doctor Doom and destroys the Baxter Building. The Invisible Girl is manipulated by Psycho-Man and the Hate Monger so that the evil entity Malice surfaces. Afterwards she changes her name to the Invisible Woman. The Thing meets the Thunderiders (formerly Team America) and Sharon Ventura (later Ms. Marvel (2)). The Thing becomes a "professional wrestler". The Beyonder arrives on Earth. After being spurned by the Dazzler he kills Death as a "Champion of Life", but eventually is forced to undo his act. Eventually the Molecule Man triggers an accident which allows him to flush the Beyonder into an alternate universe. After the Dire Wraiths' homeworld is mystically transported to the Earth's location, ROM rallies the heroes of Earth and the Wraith War is ended when he and Forge banish Wraithworld to Limbo with a global neutralizer. ROM leaves Earth. ROM regains his humanity on Galador. Tony Stark recreates his original grey Iron Man armor and faces Rhodey who has become out of control. The Scourge of the Underworld, a villain who kills other super-villains, makes his first appearance and kills the Enforcer (later revealed to be his own brother). Tony Stark returns as Iron Man in a new armor suit and defeats Obadiah Stane as the Iron Monger. Captain America and Captain Britain battle a now-evil Modred the Mystic. Captain America discovers the Sidewinder’s Serpent Society, a unionized villain group with health benefits. Steve Rogers begins drawing Marvel Comics' "Captain America" comic book. Captain America meets the anti-nationalist Flags-Smasher. With the help of Dr. Strange, Clea leads a rebellion to defeat Umar and becomes regent ruler of the Dark Dimension. Alpha Flight gains a new member when Shaman's daughter gains mystic powers as Talisman. Bruce Banner's personality resurfaces when the Hulk is poisoned. The secret history of Banner's dysfunctional childhood is revealed when the Beyonder visits the Hulk at the inter-dimensional Crossroads. Sasquatch's life-essence dies after he is ejected from his beast-form and later sacrifices himself so that the Hulk is returned to Earth. Madison Jeffries joins Alpha Flight. Selene joins the Hellfire Club. The sorcerer Kulan Gath creates an alternate Hyborian Age reality around Manhattan (An Age Undreamt Of) where the X-Men, New Mutants, Morlocks, Selene and Avengers are altered into Hyborian versions of themselves. Warlock's father, the Magus, attacks, but is repelled by the X-Men. Firestar, a flaming female mutant, first appears as a member of Emma Frost's Hellion Academy. The X-Men and the Juggernaut encounter Nimrod, a Super-Sentinel from the future, who is defeated when Rogue absorbs the powers of multiple X-Men at once. Cyclops rejoins the X-Men. Mystique recreates her Brotherhood of Evil Mutants into the government-sponsored Freedom Force. Rachel Summers acquires the Phoenix Force. The X-Men meet the mutant Fenris twins (children of Baron Strucker), when they disrupt the "Trial of Magneto". Xavier leaves Earth with the Starjammers and Magneto is made the new leader of the X-Men. Dazzler gets a new costume and begins an association with the X-Men. The Beyonder meets the mutant Tabitha Smith (Boom Boom). 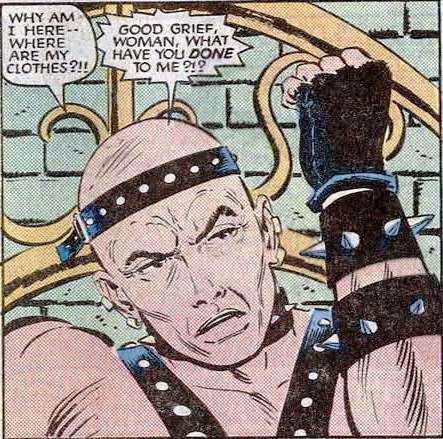 The New Mutants encounter Legion, Xavier and Gabrielle Haller’s multiple-personality mutant son. Strong Guy appears as Lila Cheney's bodyguard. Karma returns as a villain (mind-controlled by the Shadow-King). She rejoins the New Mutants after freeing herself. The New Mutants and the X-Men battle Loki and the Enchantress in Asgard. Dani Moonstar meets the flying horse Brightwind and becomes an Asgardian Valkyrie. Spider-Man encounters Silver Sable whose Wild Pack acts a corporate for-hire supergroup. Spider-Man breaks up with the Black Cat. Spider-Man and Daredevil avenge the death of their friend, Captain Jean DeWolff. Heather Glenn, depressed, takes her own life. The Vision attempts to take over the world's computers in order to better mankind. The Black Knight rejoins the Avengers. The giant alien Terminus (later revealed to be a disguised Deviant) destroys Pangea and lays waste to the Savage Land, forcing Ka-Zar and Shanna to leave. The Avengers and Firelord ally with the Skrulls to battle the threat of Nebula, who claims to be Thanos' grand-daughter. Starfox leaves the Avengers. The Skrulls (temporarily) lose their ability to change shape. The Avengers (now the Wasp, Captain America, the Black Knight, Captain Marvel (2) and Hercules) recruit Namor the Sub-Mariner. Agatha Harkness is seemingly killed by the Salem's Seven. Her spirit however aids the Scarlet Witch in seemingly becoming pregnant. Longshot, an artificially created alien arrives on Earth as an amnesiac. He soon discovers that he is a rebel slave from the Mojoverse. The corporate leader Mojo and his assassin Spiral attempt to recapture Longshot but are repelled with the aid of Dr. Strange. Moon Knight has his powers augmented when he meets the blind priests of Khonshu. Rocket Raccoon's origin is revealed: he and the other talking animals were originally bred as pets for mentally ill people. The Power Pack meet Cloak and Dagger. Franklin Richards joins the Power Pack as "Tattletale". Thor meets his great-grandfather, Buri, the first Norse god. Skurge, the Executioner, sacrifices his life to allow Thor and the Asgardians to escape from Hela. The Beyonder empowers Algrim the Elf (later Kurse). Moondragon becomes possessed and causes the Angel to go blind. The Atlantean warrioress Andromeda joins the New Defenders. Cloud finds out her true nature as a sentient star and helps the now-conversant Cosmic Cube defeat the Star-Thief. She then leaves the team. Xavier awakes after a bad night on the town. I don't remember the Hyborian X-Men. I must have missed that story. We're coming towards the end of the comics in UK newsagents. Only a few more years before they disappeared, never to return! It was super-short and started in the middle - very confusing. Nowadays that would be a 20-issue event!